The elementary art team is embarking on a new collaborative piece of art for the school. Students at all grade levels from 1-5 will work on this project. We are going to need a lot of bottle caps! 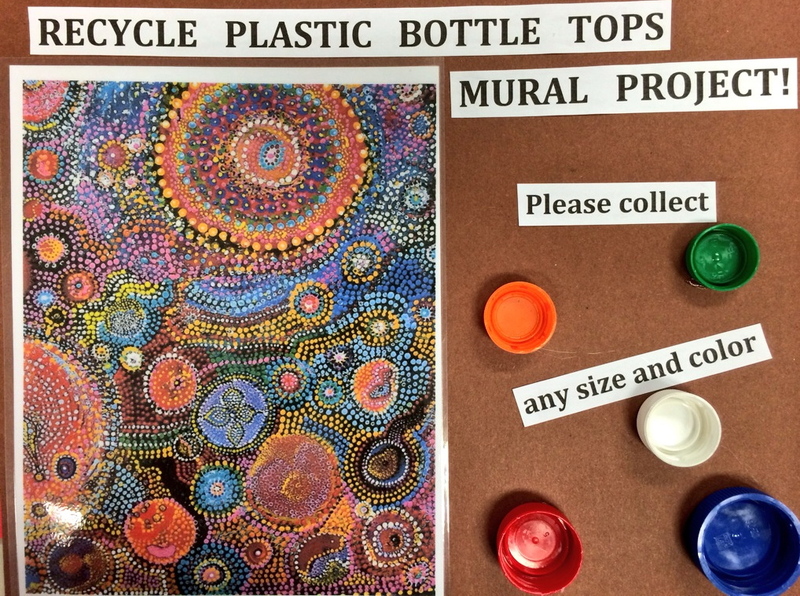 So please start saving your plastic bottle caps and send them to your child’s art teacher. Can’t wait to get started. This entry was posted in Uncategorized and tagged bottle caps by kmcfadzen. Bookmark the permalink. Thanks so much. We are excited about the project. Can’t wait to check out the article.